An experimental new operation in the United Kingdom saved a mother and her unborn child from almost certain death. 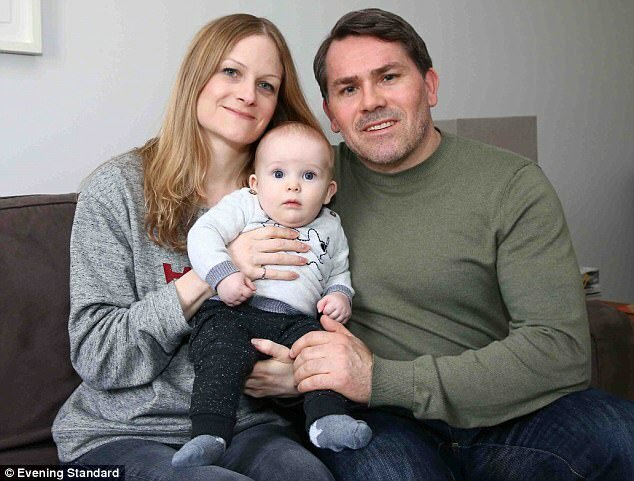 Polly Marshall and her son, Gus, both are alive and well today after a team of 30 doctors and nurses worked for hours to save their lives, the Daily Mail reports. Last year, the south London mother developed a painful, life-threaten condition called pseudoaneurysm, which causes massive swelling of the uterine artery. Marshall said she thought the severe pain meant she was in labor, but her doctors at St. George’s Hospital told her that her life and her unborn baby’s were at risk. She was 29 weeks pregnant at the time. In June, the 30-member surgical team performed an experimental procedure in an attempt to save their lives. It was the first of its kind ever done in the UK, according to the report. Experts in anaesthesia, obstetrics and gynaecology were on hand in case the baby became distressed and had to be delivered early. Vascular surgeons were also in theatre, bringing the total team to 30 people, amid fears the major blood vessel could rupture, meaning she could bleed to death. They inserted a fine tube into a pin-size hole in her groin to reach the aneurysm. Metal coils were then inserted into the artery supplying the swelling, to stop the blood flow. Professor Anna-Maria Belli, the consultant who carried out the procedure, said they were worried the surgery could have killed both mother and baby. But the operation was a success and three months later Miss Marshall, who works in financial technology, gave birth by caesarean section. Marshall carried her unborn son for another nine weeks before she gave birth, according to the report. She said Gus now is six months old and healthy. “I will always be grateful that the problem was identified so early,” she said. Such stories are beautiful reminders that when doctors treat a pregnant woman, they are taking care of two lives, not one. And both lives, as the Marshalls’ story demonstrates, are worth saving.